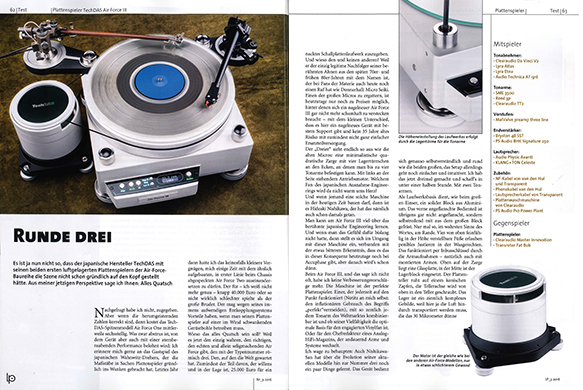 Holger Barske wrote a great review for our Air Force III. Air Force III also occupied the cover of the magazine too. The original article is in German. Here is the summary of the review. “The TechDAS turntables define what at present is technically possible – and so does the Air Force III. 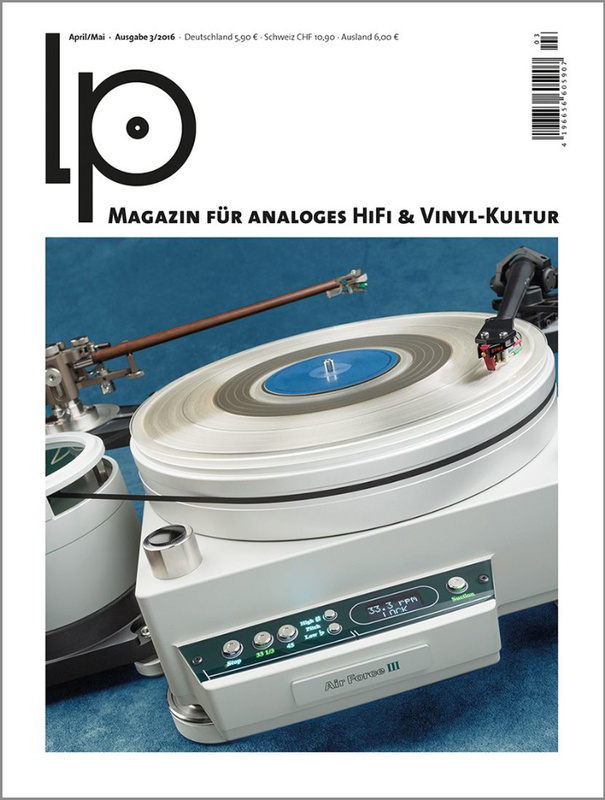 Sounding unequaled in transparency, light-footed and ample the Air Force III, due to it’s vacuum hold-down, is able to play records in a perfect mode which normally would be lost.